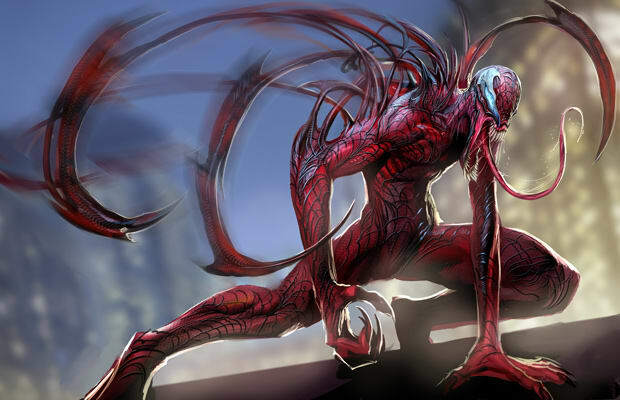 When MVC3 was first announced, we immediately thought the psychotic, symbiotic serial killer Carnage would make an appearance. Then, we saw the rating for the game. Carnage is a bit too violent for a teen-rated game, don't ya think? WHO CARES! Can you imagine him and his axe hands doing major damage to Spider-Man and those busters on the Capcom side? Forget Venom, we've played him enough. When we see red, we think Carnage. All those awesome tentacles coming alive and resulting in a super cool looking Level 3 super would change our lives. Forever, ever? Forever, ever.